The Plate Dining Table by Vitra is a design by the British designer Jasper Morrison and, like all his designs, is influenced by the design approach "Supernormal". Morrison himself says, "The objects that work best don't do this because they look beautiful or valuable, but because they have the code to be good at what they are." The design of the Plate Dining Table is characterised by even surfaces, rounded edges and balanced proportions, which harmonise excellently with each other and ensure a timeless, elegant appearance. 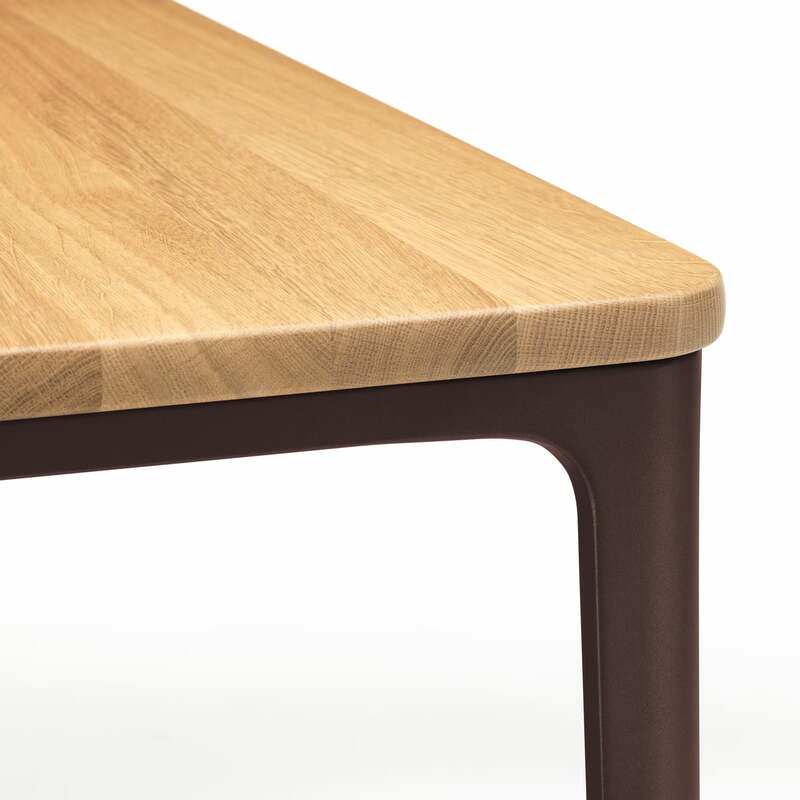 The interplay of defined lines and soft curves lends the table its unique silhouette. Small details, such as the slightly angled legs and the minimal protrusion of the table top, provide that certain something. The Plate Dining Table is available in different sizes and variants: While the base frame is made of powder-coated die-cast aluminium, the tabletop is available in wood, marble or glass. 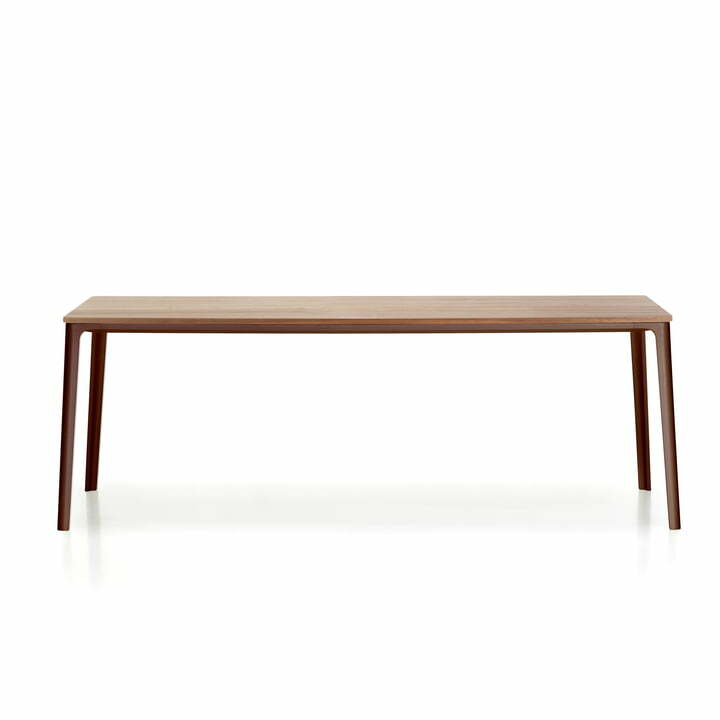 Plate Dining Table from Vitra in single view. 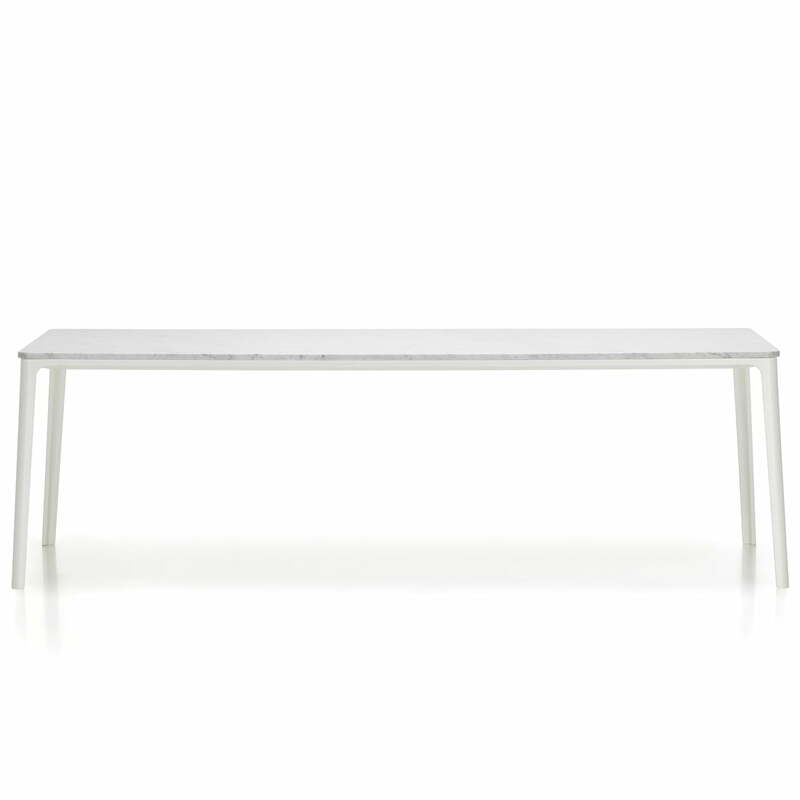 The Plate Dining Table by Vitra is a design by British designer Jasper Morrison. The design of the Plate Dining Table is characterised by even surfaces, rounded edges and balanced proportions.